Each one of us is part of God’s family and we are all special. As God’s children and family we love one another, pray together, play together and walk hand in hand with God. God is our teacher and we are his gifts. He helps us learn together, work hard and do our best to make our world a better place. With fun, laughter and friendship we celebrate God’s love. We respect and care for everyone and for God’s wonderful world. We use The Way, the Truth and The Life for our RE teaching. It begins in Reception and goes through to Year 6. It is broken into 6 topics across the year. We also teach other major faiths across the school in Multi-Faith weeks that reflect the diverse world in which the children live. We have daily Collective Worship; Whole school assemblies on Monday and Friday mornings, class based Collective Worship on Tuesdays and Wednesdays and Hymn Practice on Thursdays. We use the 'Pray Together' resource by Pat Ainge for our class based worship. We have regular whole school masses and each class celebrates an intimate class mass each term. Thank you to all the families who joined us Thursday morning to pray the rosary. Each class participated in the world wide prayer initiative of "One million children praying the Rosary" in honour of October as the month of the Holy Rosary. Thank you to the Mini Vinnies for leading the whole school in praying the Rosary. Members of the Mini Vinnies went into each classroom and led this very special collective worship at St. Joseph’s today. 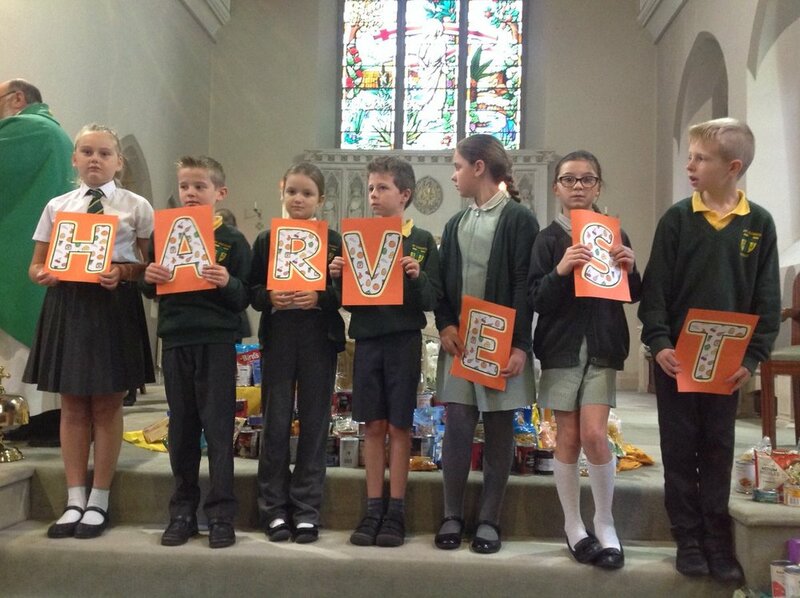 ﻿Thank you to everyone who joined us at Harvest Mass and for the kind donations. Led by Year 5, we came to celebrate the gifts God has given us, and to remind everyone that some people are not as fortunate as ourselves. The wonderful donations from the families will help those in need who do not have enough food. On Friday, the Mini Vinnies created a fabulous café in order to raise money for Macmillan Cancer Support. We asked families to donate buns and cakes which we sold during the morning. We raised a fabulous £238.50 during the Café, and we will be selling the remaining cakes after school in the Pavilion. Thank you to Mrs Russell and the Mini Vinnies for organising the event, and to all the families who made a donation today. The cakes looked and tasted absolutely splendid—well done all! During the first week, we asked ‘Where is God?’ The children produced a piece of artwork to show their ideas, and some even wrote down their thoughts and feelings. All of the children produced some beautiful work and thoughtful responses to the question. On Friday morning our Mini Vinnies went to celebrate Mass at the Cathedral with Bishop Marcus. Edward explained, “I felt proud when I carried the cross at the end of Mass but it was very heavy!”. 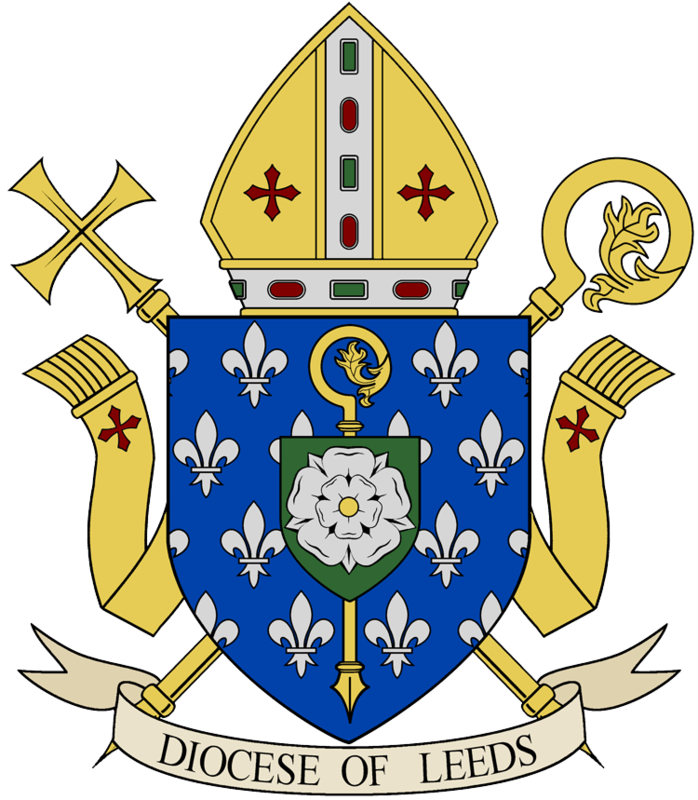 It was wonderful to see so many Mini Vinnies from all across the Diocese of Leeds and share in this special Mass.